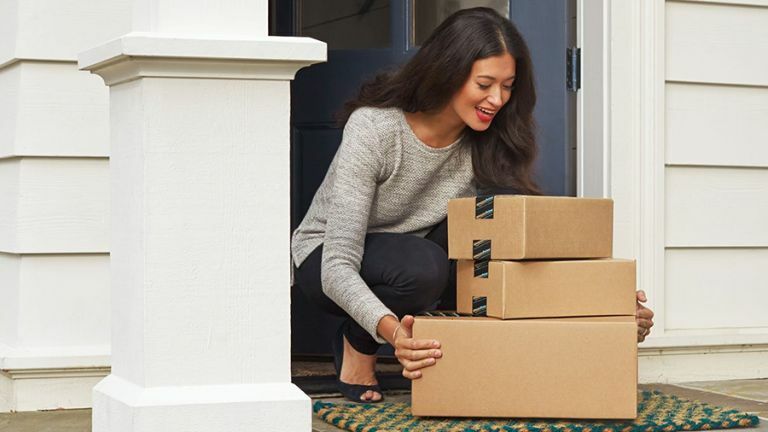 The Black Friday and Cyber Monday sales are on and Amazon has thousands of discounts in its toys, games, fashion, jewellery, beauty, and home departments. Below is our pick of Amazon's best Black Friday and Cyber Monday deals and we're updating the page as new products get added to the sale. Note that stock is limited and so you will need to be quick if you want to get the cheap prices. Let's kick off with Amazon's own devices, which are always popular in the Black Friday sales. Sound is quite incredible for such a slim screen (although you can always add a soundbar if you want to beef it up further). The deal from Amazon is quite bare bones. If you want 18 months interest-free credit, try Curry's (£1,899 is less competitive, mind), or John Lewis currently does it for £1,799 with a 5-year warranty thrown in for free. Because stocks are so limited you must click on the 'widget' below to try to snap up one of the remaining Amazon B8 deals – we can't link to it any other way. This is basically the award-winning LG C8 with different shaped legs and a slightly weedier sound system (maybe get a cheap Sonos surround system). It uses OLED tech for fantastic contrast, near instantaneous refresh rates and very, very black blacks. The B8 has had a few discounts since launch but at £1,299 it's a STEAL and a DEAL. LG's excellent webOS smart TV platform for lets you view all manner of HD, 4K and HDR content on Netflix, BBC, Amazon et al. It's also immaculately thin and gorgeous. Need we say more? It's not often we see discounts on Sonos, so £110 off the Sonos Sub is a sweet, bass-booming deal. The sub promises to fill an entire room with "thick layers of bottomless sound that let you hear and feel every chord, kick, splash and roll," so it will give your smaller Sonos speakers a welcome bit of oomph. The Sub will work with Sonos products such as a Beam, Playbase, Playbar and smaller Sonos speakers, and as it's a Sonos, set-up is a no-brainer: plug it in, press a button and your app does the rest. When Amazon released its smart speaker, Echo, over a year ago, we were excited to meet Alexa, Amazon very own Siri, but also how the speaker would develop. Fast forward to now and it's gone and spawned a large and growing family of devices. These are the best current prices on the whole line, from the ultra-cheap smart home hockey puck that is the Echo Dot to the 'video phone from the future'-looking Echo Show to the Echo Plus with its Zigbee smart home hub and our new favourite, the circular screened Echo Spot – a sort of smart alarm clock that can make video calls and show you the weather. All of them have smart home controls, news and weather, music via their own speakers or ones connected by Bluetooth or, in the case of Dot and Spot, a 3.5mm cable. This extremely lightweight Kindle brings comfort to one-handed reading. So, if like me, you usually wake up to your book smashing you in the face, fear no more my friend. Its clever ergonomic grip shifts the centre of gravity to the palm of your hand, allowing comfortable one handed reading for hours. Left handed? No problem, it works for both left and right handed people. The Amazon Fire is an attractive and affordable alternative to the Apple TV. The interface is intuitive and simple, that even your gran would be comfortable using it.